Eid Mubarak!, originally uploaded by Aufidius. Wishing everyone a very joyous Eid. 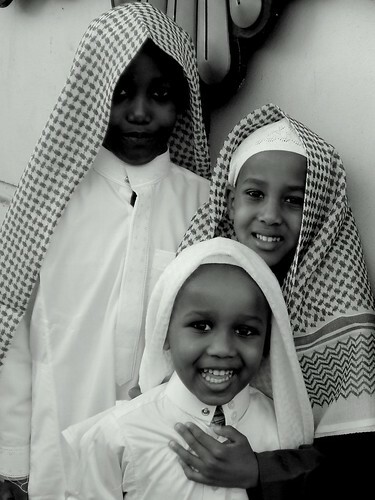 I took this picture of three brothers after Eid prayers this morning. 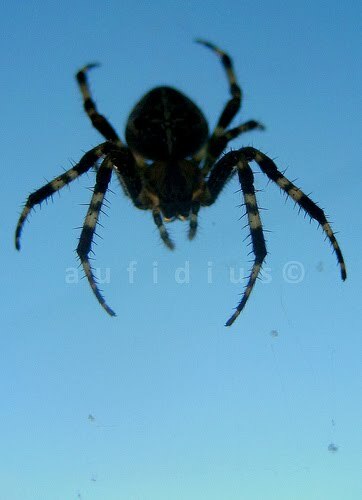 Spider photographed from below to be taken against the backdrop of the sky. Taken in my Garden, London.